This sounds wonderful and I can’t wait to attend all the festivities. I am so excited to learn of this event! I am in MO and am a huge fan and collector. Would love to be able to wear my costumes to this festival. Eager for more info! 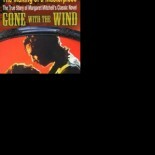 Must run out and buy The Making Of A Masterpiece, The True Story of Margaret Mitchell’s Classic Novel, Gone With The Wind as well!